I am calling this one the lotus skirt because the shape of the pockets makes the skirt flare out beautifully, just like a lotus flower. From even before the banana palm sun dress with patch pockets, I’ve always wanted to find more interesting ways to incorporate not-so-usual pockets on my garments. 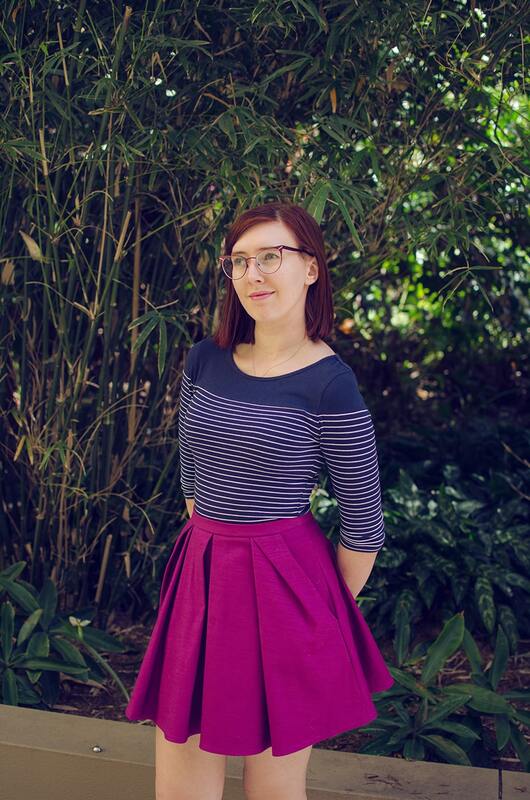 Side-seam pockets are great, and they definitely have a place in my wardrobe, but why not make the pockets one of the main features of the skirt? 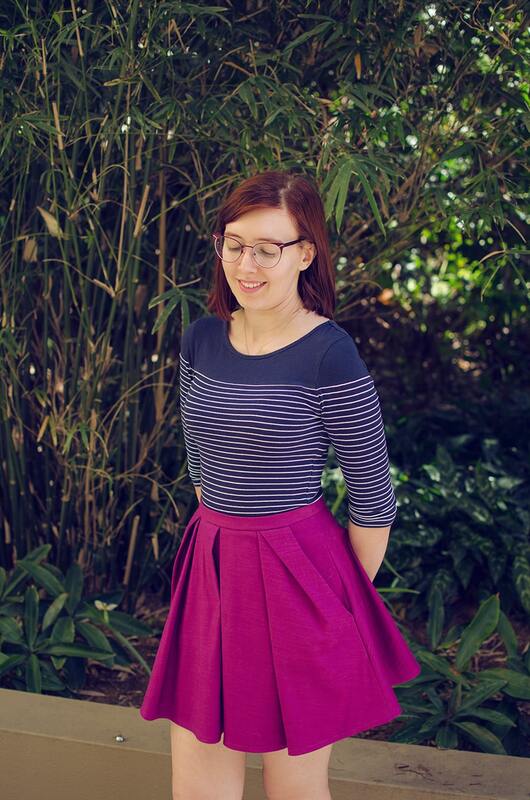 And of course, pleated skirts are one of my favourite skirts to draft myself. I love how they add volume and body to a garment without adding unnecessary fullness to the waist. So when you put those together, I guess what we end up is an A-line pleated skirt with inbuilt pleated pockets. I’m officially in love. I eked out this design from 1.2m of gorgeous textured fabric that I bought while I was down in Melbourne. I am not sure what composition it is, but it’s got a beautiful drape and textured lines running from selvage to selvage. 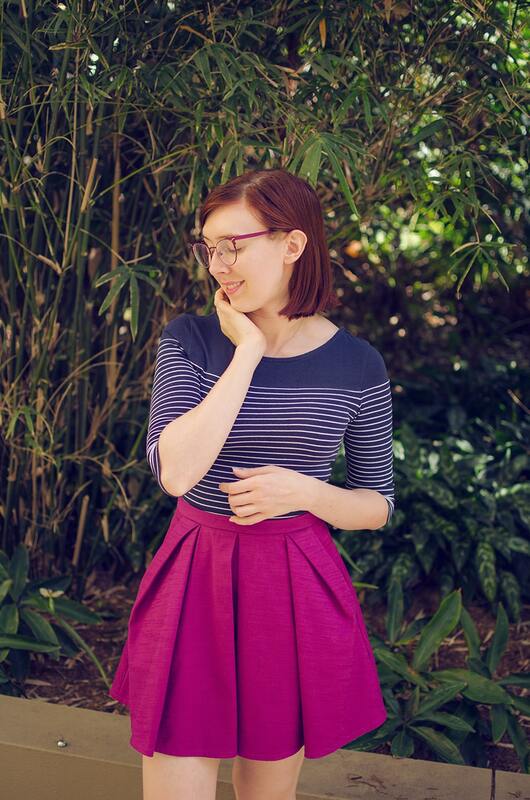 I knew I wanted to make a skirt out of it, but I wasn’t sure what kind of skirt because I was short about 10cm or so to do a regular, rectangle box-pleated skirt. That’s how the lotus skirt was born! It’s a little shorter than what I’ve been wearing lately but not indecently so. I drafted a curved waistband that somehow managed to fit amongst all the other pieces, and from the scraps left, I made pocket facings. I used some scraps of cotton lawn to make pocket bags (unseen). The pockets are large and spacious, and because they’re drafted in a way to be incorporated into the pleating, they add a little bit of volume to the hips, further emphasising that waist-to-hip ratio! This skirt can literally stand up by itself. 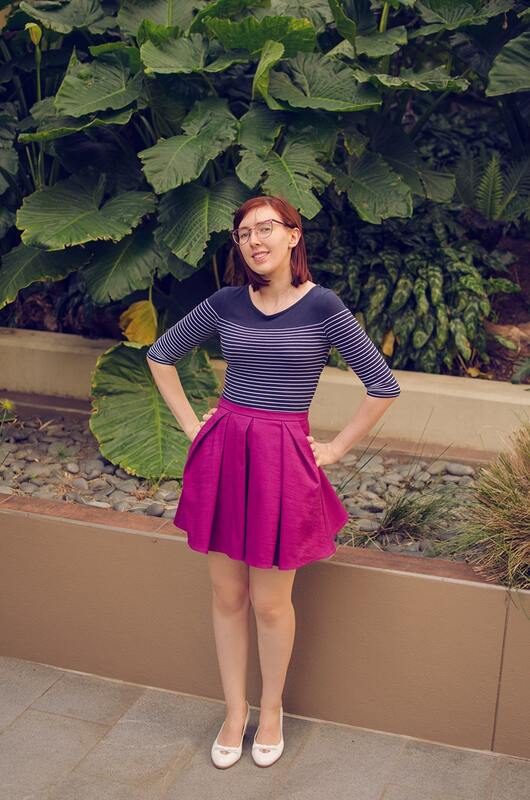 When I drew up this skirt at this length, I also extended the pieces to create a midi-length version as well, for next time. 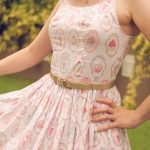 I have a few other upholstery-weight fabrics that I think would look fabulous in a knee-length skirt and I can’t wait to try them. As far as putting the skirt together, it was so effortless. I was really on a roll and put the entire thing together on a Friday. I spent long enough putting it down on paper that I’m not surprised it went so smoothly. It would be downright embarrassing to not know how to sew it up after all that effort. I didn’t even unpick anything and the invisible zipper went in flawlessly. 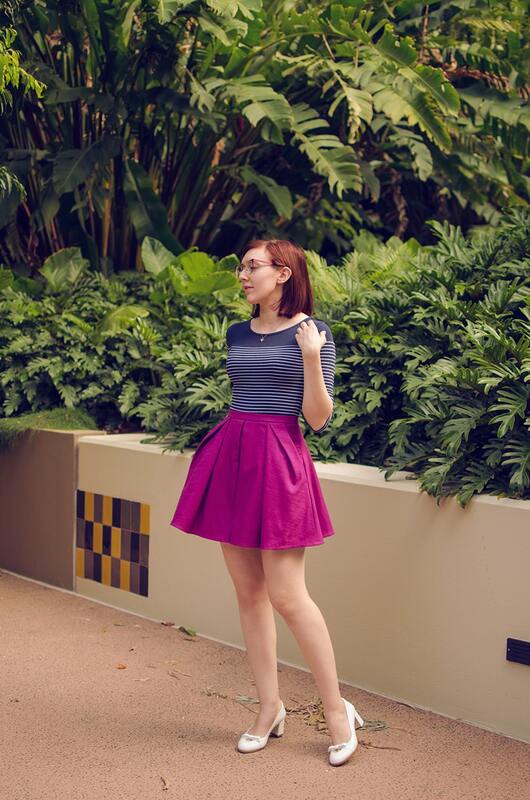 I’m not sure about whether I want to keep the back a simple quarter-circle shape or incorporate pleats into the back as well, but for my test run, it looks pretty good to me! I’ll decide later on. 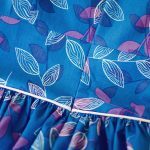 The hemline is finished off with a bias binding facing to conserve as much fabric as possible. I have only scraps of this fabric left, you should see my work desk. All in all, I’m super chuffed with how this baby turned out and have the pattern filed away for (frequent) future use. Now that I’ve expressed my abject boredom with modern patterns as of late, you’re going to find me posting a lot more of my own design journey as I try to create a wardrobe that is full of fun and practical outfits. 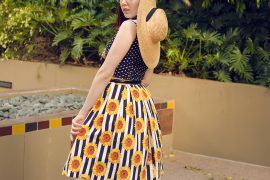 This skirt is gorgeous! And thank-you for sharing it, because you’ve just solved a current design dilemma for a dress I’m working on. I think featured pockets could work beautifully, especially if I detail them with some black ribbon. As you say, pockets are the best feature of any dress, so why not highlight them? Thanks for the inspiration.